Brushworx hair brushes are your hairdresser’s secret to smooth, glossy hair. Create the perfect style with Brushworx’s extensive range of hair brushes to cater to every hair need. The best way to ensure professional results is with Brushworx’s professional quality range. From ceramic technology to eco-friendly to tourmaline coating, Brushworx will have you brushed up to your best! The extreme hair brush! The Keratin 230 collection is your dream team. 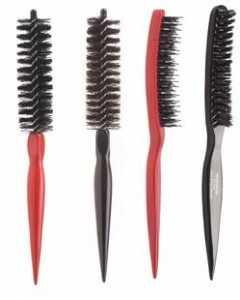 These hair brushes are designed to withstand whatever you can throw at them. 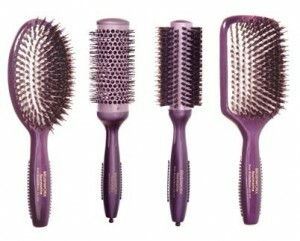 The Keratin 230 collection will outperform any hairbrush subjected to the extremes of fast thermal styling. The Keratin 230 collection is gentle on hair, yet tough, fast and resilient when it comes to styling. The collection includes a curved vent brush, a paddle cushion brush, a vent brush and hot tube brushes in 3 sizes for differing hair lengths. Ceramic and ionic technology assists in the creation of smoother, silkier hair. Lightweight with a rubber grip handle, you will be wielding the Keratin 230 collection with enviable ease. Play rough but look glamorous with the Keratin 230 Collection! Negative ions for an exceptionally positive result! Tourmaline is a semi-precious gemstone crushed into a fine powder and infused into the barrel of the Tourmaline collection brushes. Tourmaline technology features enhanced negative ion release for smooth, silky frizz-free hair. 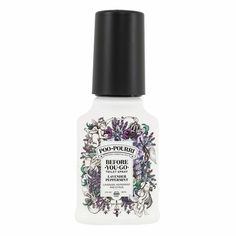 Ion output smooths the hair cuticle, which in turn protects and promotes healthy hair. Tourmaline brings out the natural shine and lustre in hair. Tourmaline also helps to straighten the hair while brushing and blowdrying, eliminating the need to use a straightener. The Brushworx Tourmaline collection features a range of boar bristle radial brushes in 3 sizes, hot tube brushes in 4 sizes, a cushion brush, a paddle brush and porcupine radial brushes in 4 sizes. 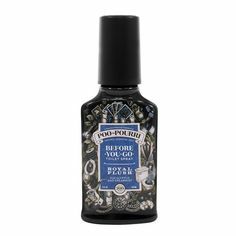 For hair that’s as glossy and smooth as a gemstone! Show you care! 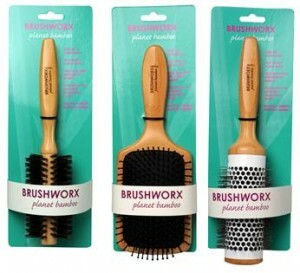 The Brushworx Planet Bamboo collection is made from bamboo, a renewable, self-generating resource. Bamboo requires no pesticides or fertiliser, and very little water. With a root system that prevents soil erosion, Bamboo is also one of the fastest growing plants on the planet. Bamboo is harvested and replenished with minimal environmental impact. 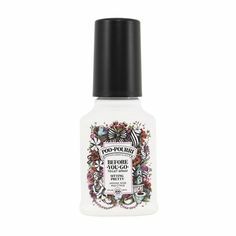 Be environmentally conscious while maintaining healthy, naturally shiny hair. Select from a multitude of eco-friendly styling choices: 4 hot tube brushes, 3 boar bristle radial brushes, and 3 porcupine brushes. Brushworx Planet Bamboo hot tube brushes come in 3 sizes and feature ceramic barrels to fight frizz and create smooth, shiny hair, while speeding up styling time. Help save the planet with Brushworx Planet Bamboo! Get stylin’ with the Brushworx Styler collection! The advanced silicone base of the Brushworx Styler collection prevents static and frizz during blowdrying. Sleek hairstyles are easily achievable, particularly with the assistance of rounded nylon bristles for maximum grip and ideal tension for styling. Suitable for all hair types, the Brushworx Styler collection is also the perfect tool to shape hair, smooth fringes, flick ends out or for adding a finishing touch to shiny hair. Brushworx Styler silicone brushes come in either 7 or 9 row bristles. The 7 row is intended for shorter hair and fringes, while the 9 row loves to style longer, thicker hair. 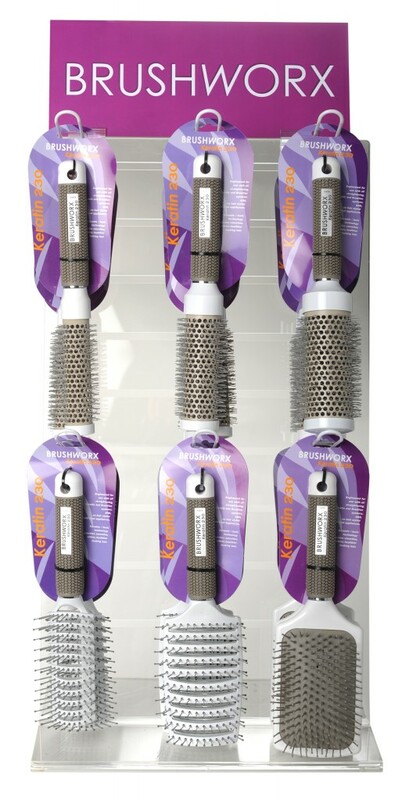 The silicone brushes are designed to be used when heat styling with a hairdryer. The Styler collection also features a range of bottle brushes in 3 colours and 2 sizes, as well as teasing brushes, also in 3 colours and 2 bristle types – nylon or porcupine. You’re styling with Styler!